Green Laker: Test Your Free English! Yeah, it's more of a problem with the layout, but I still found it amusing. 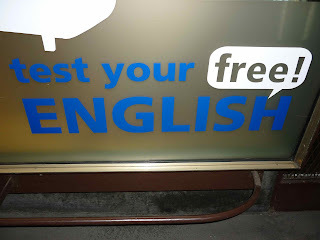 And yes, their "free English" is still millions times better than my abhorrent German.